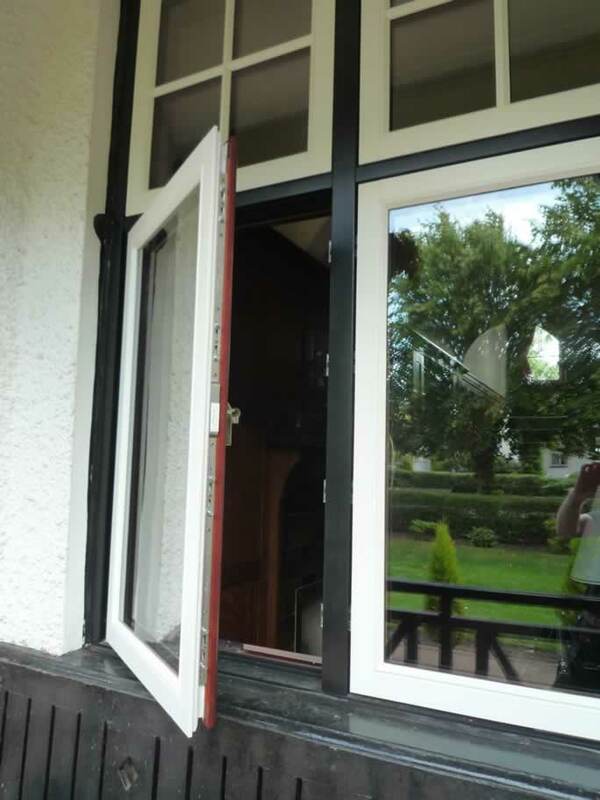 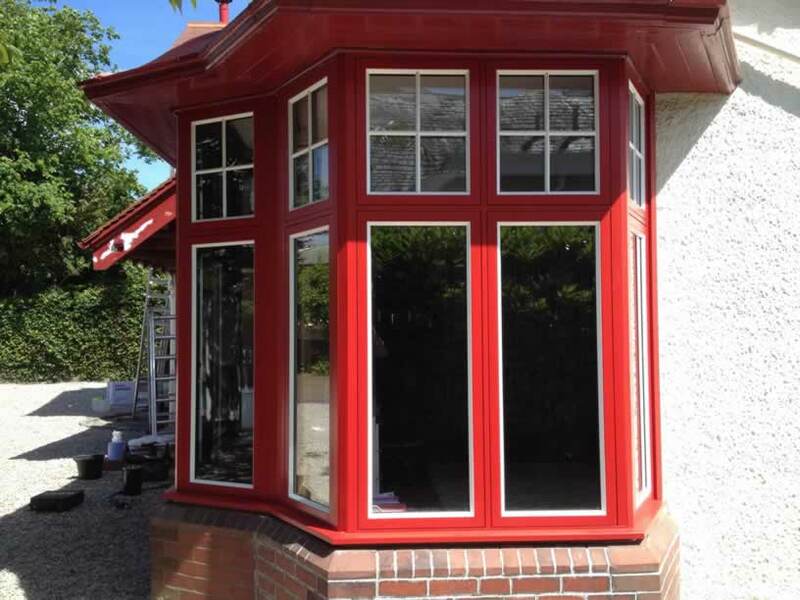 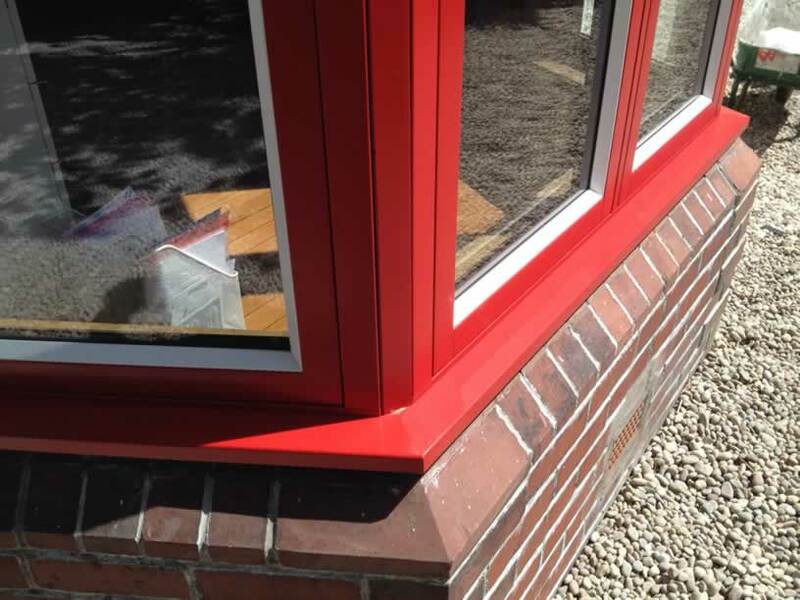 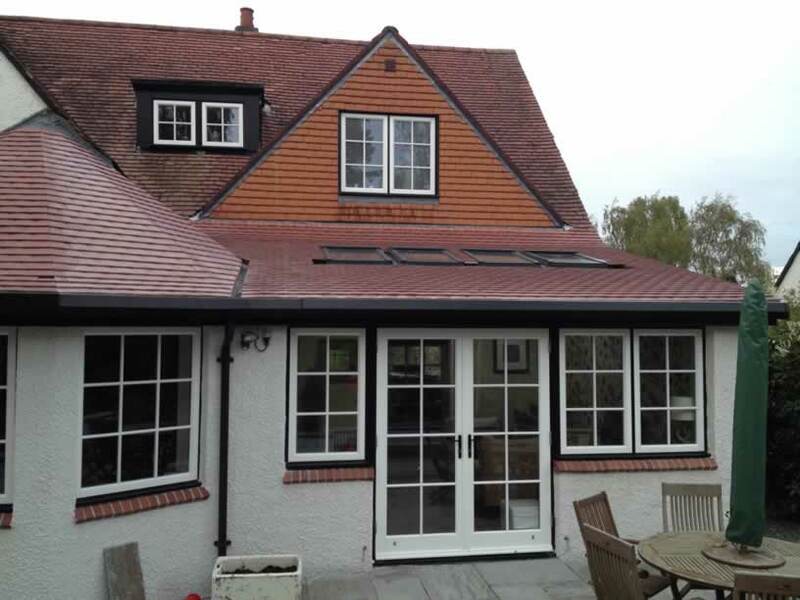 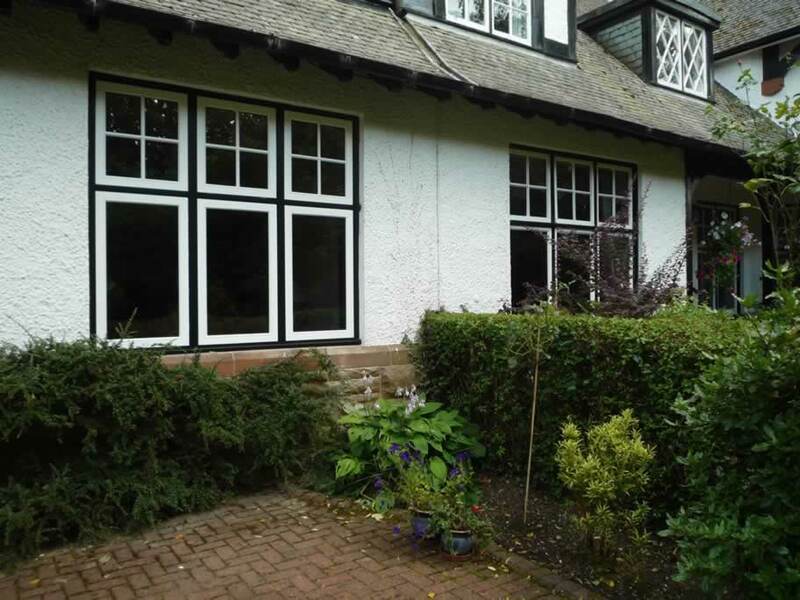 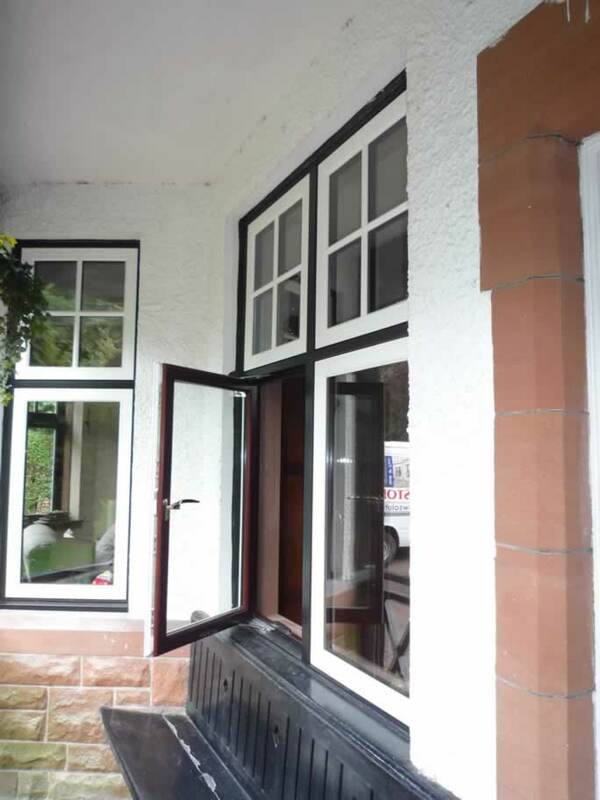 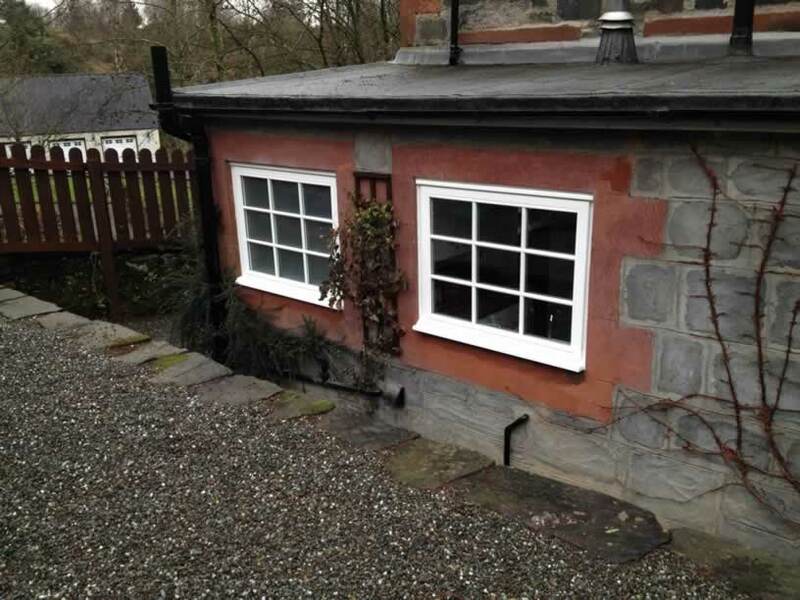 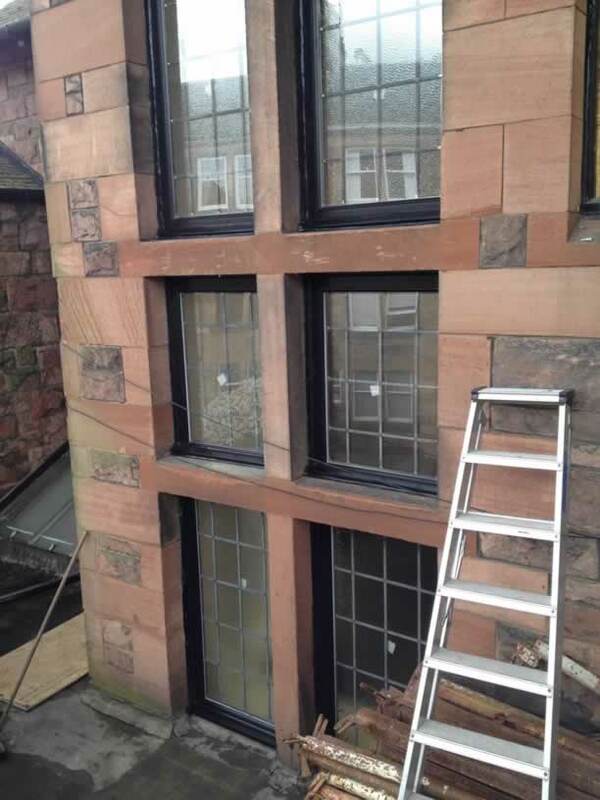 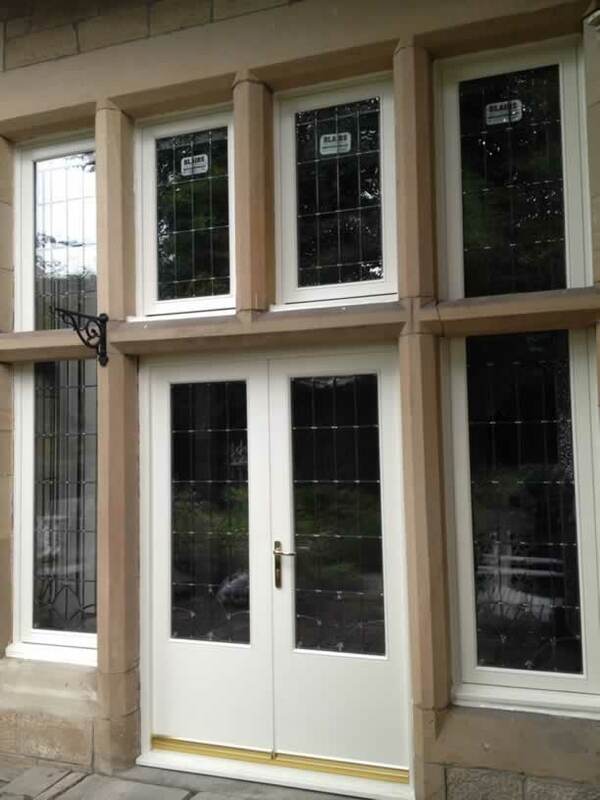 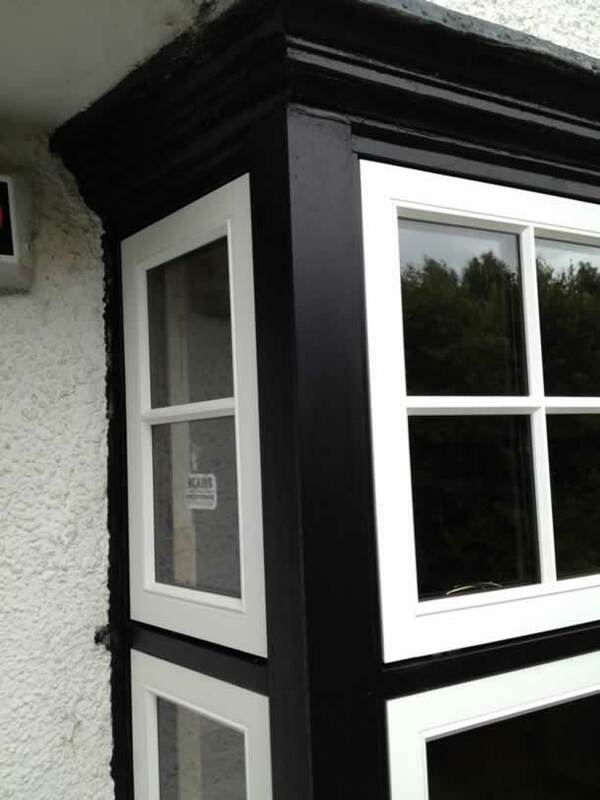 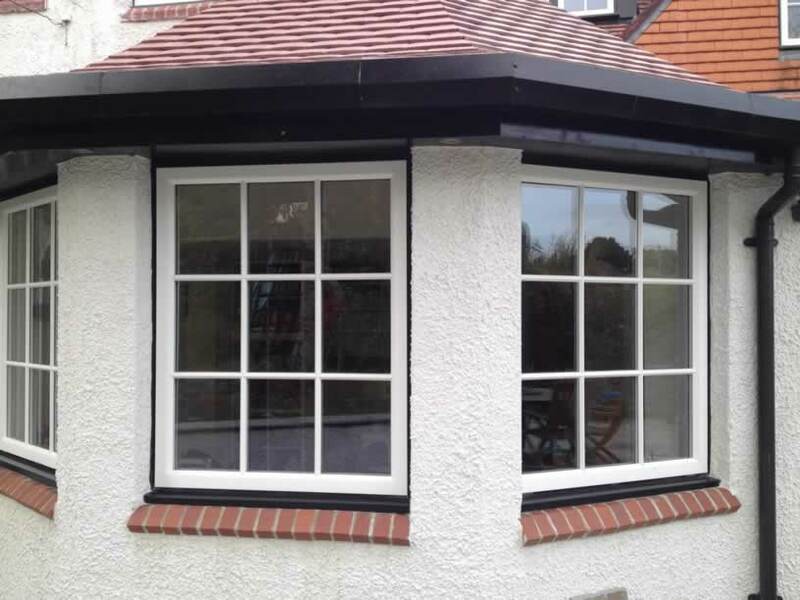 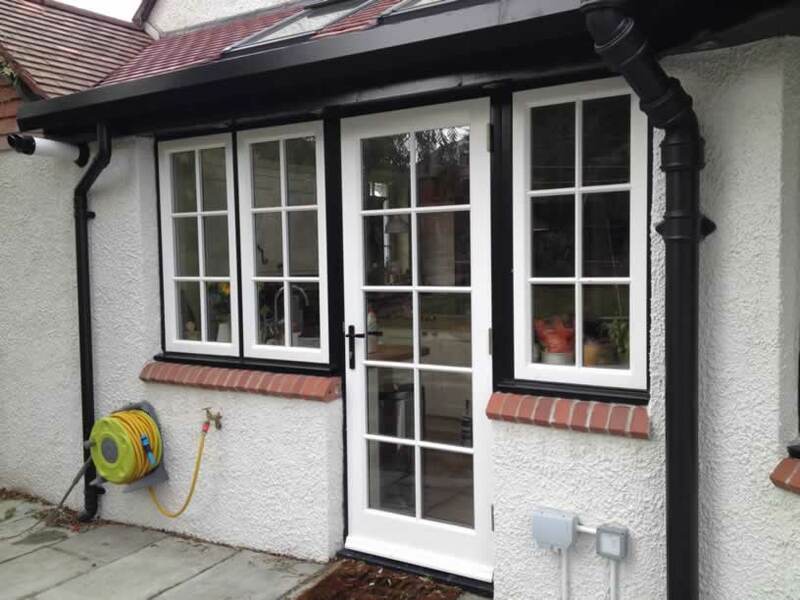 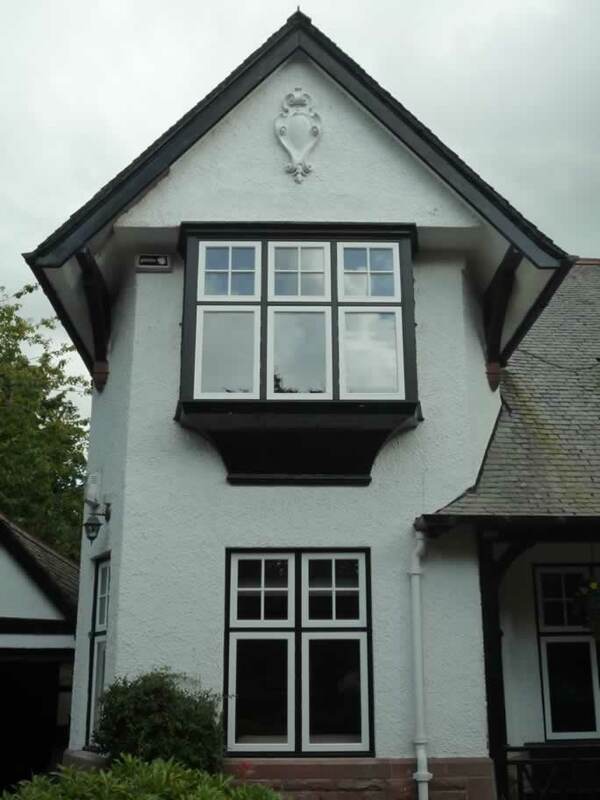 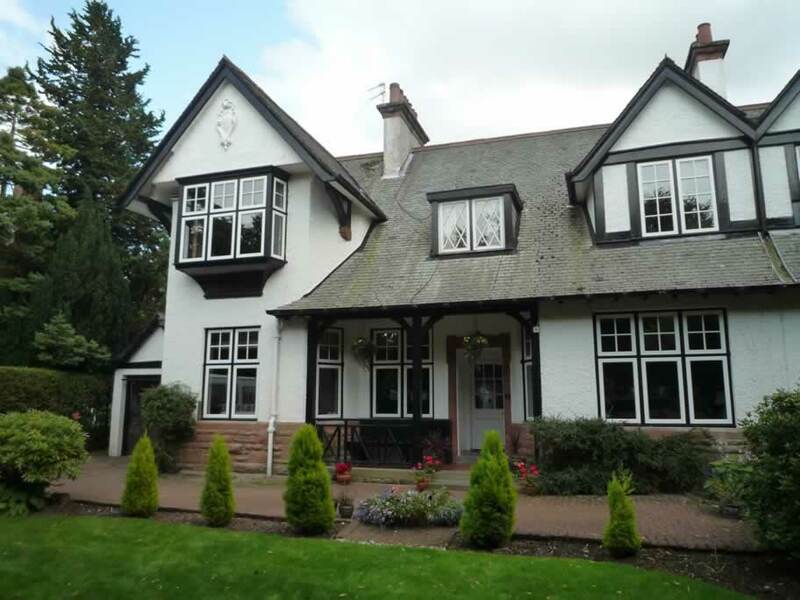 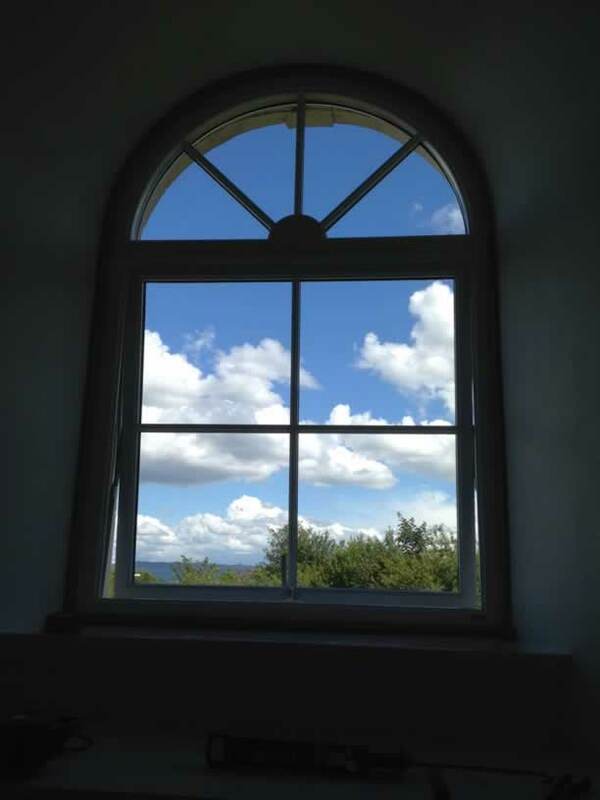 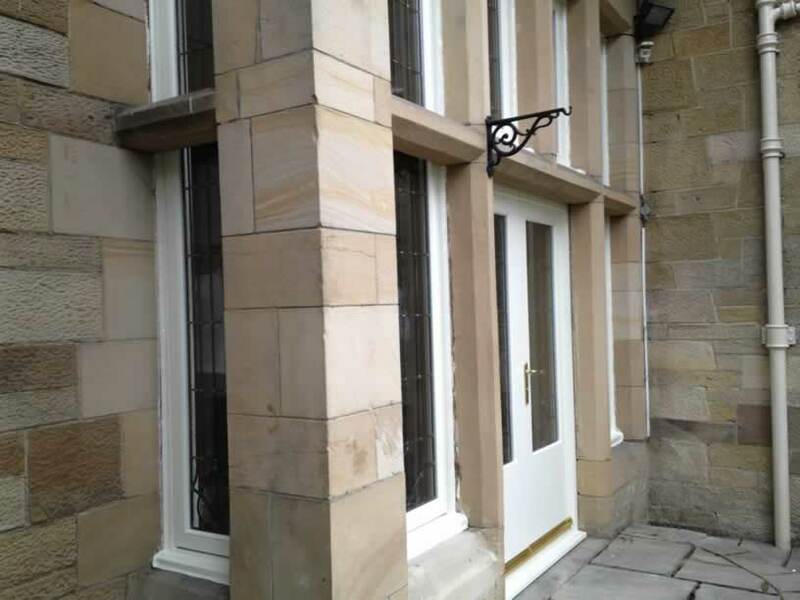 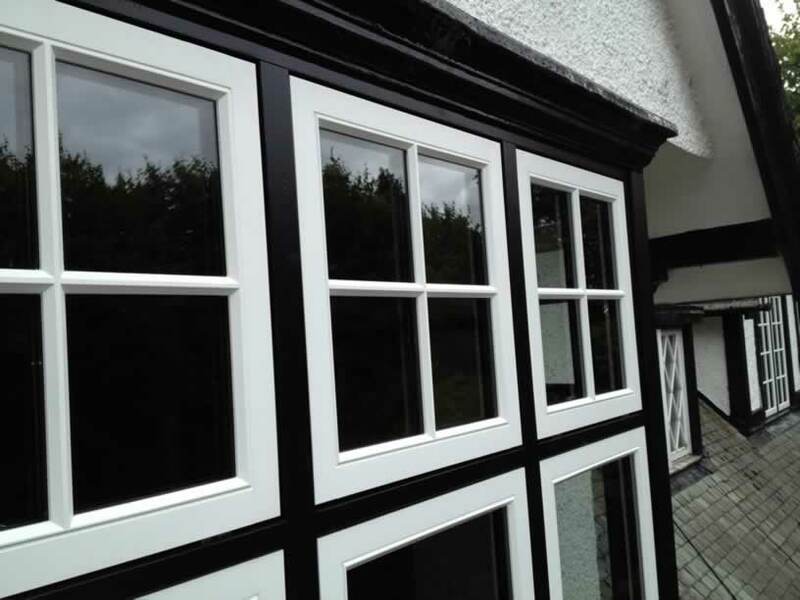 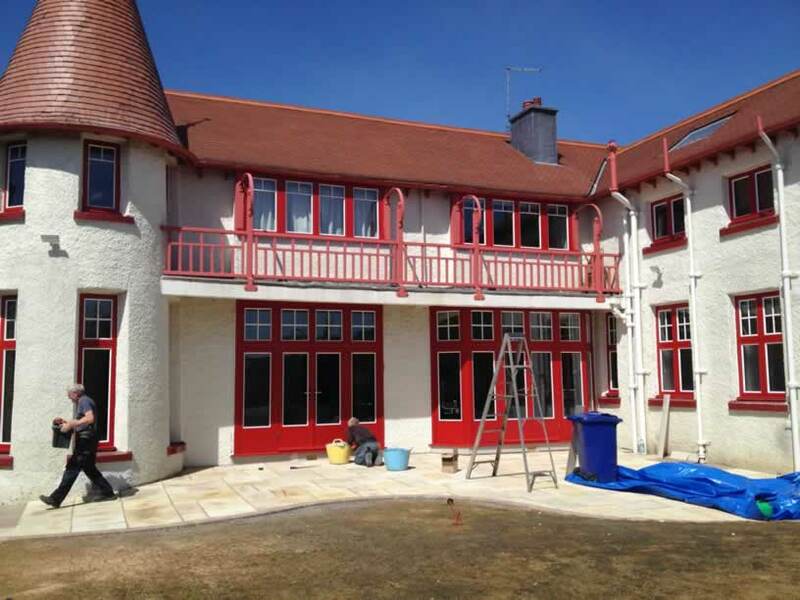 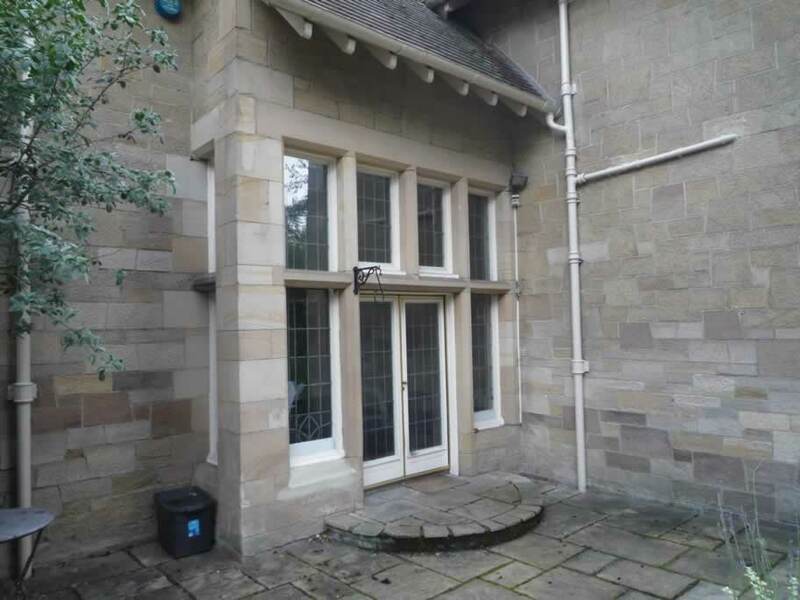 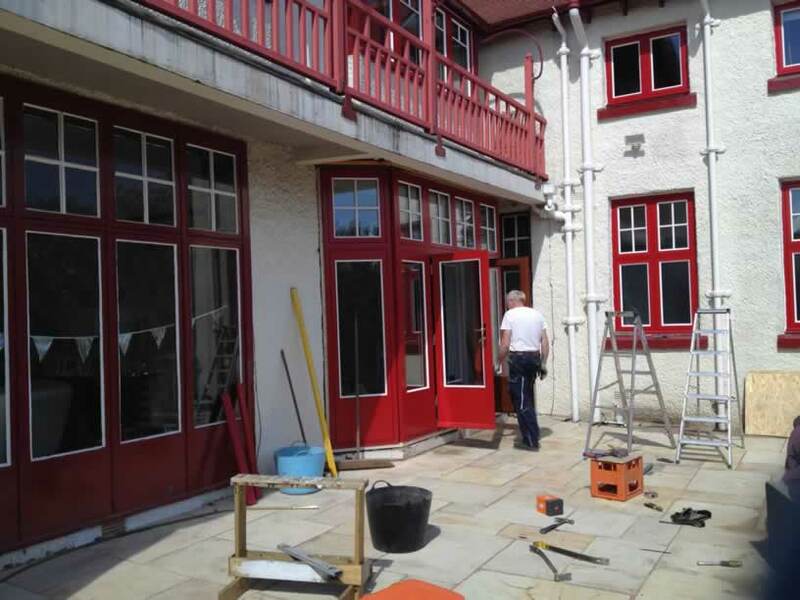 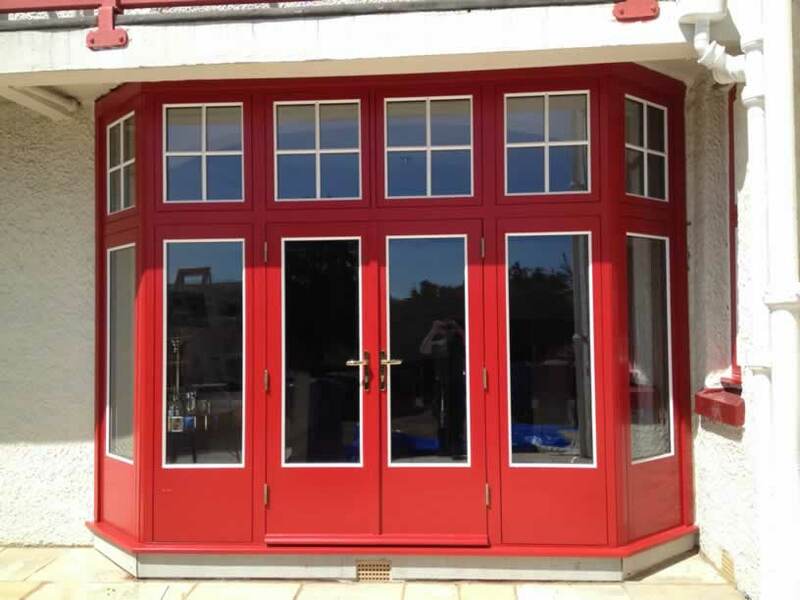 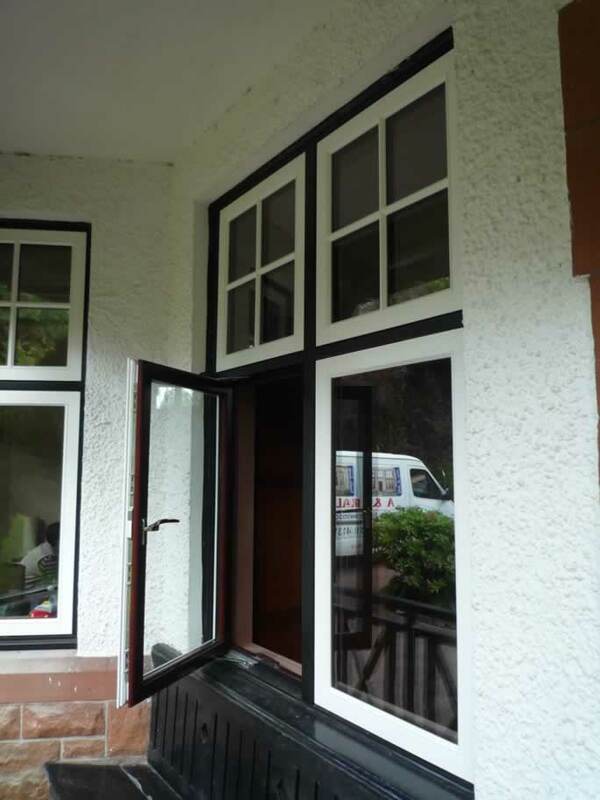 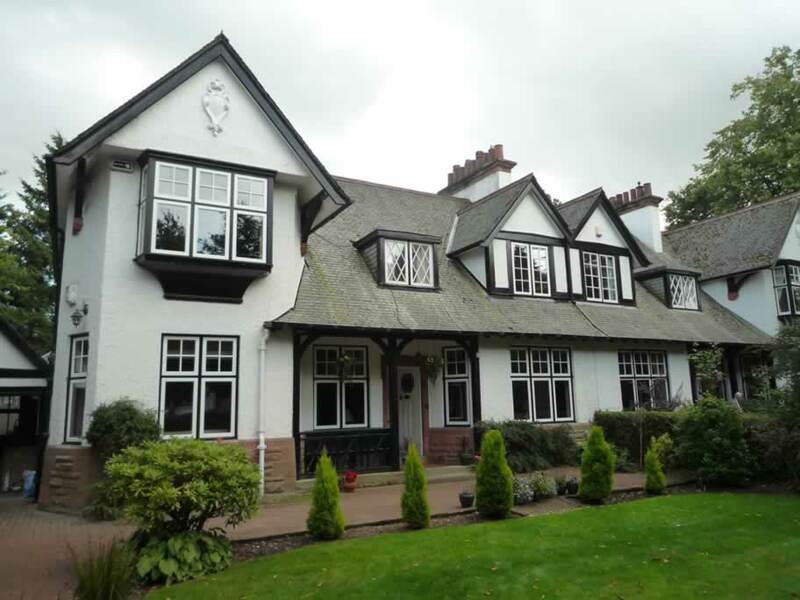 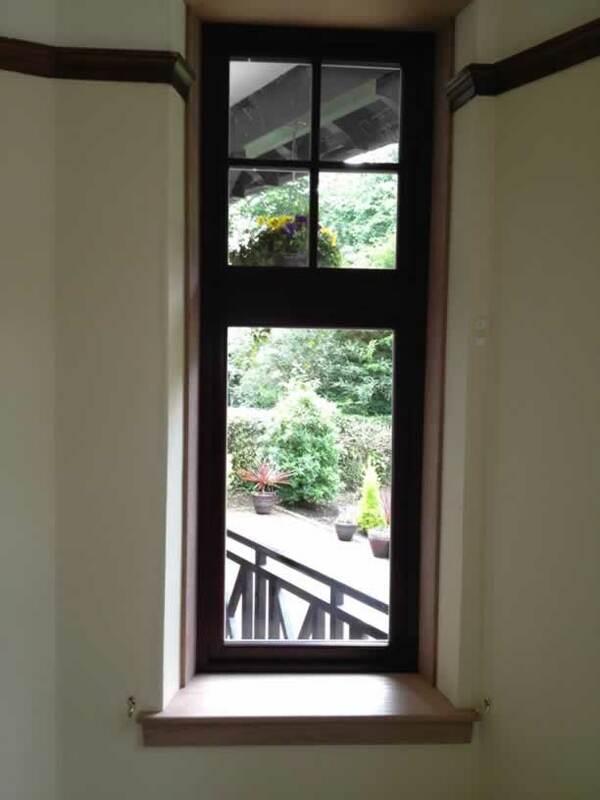 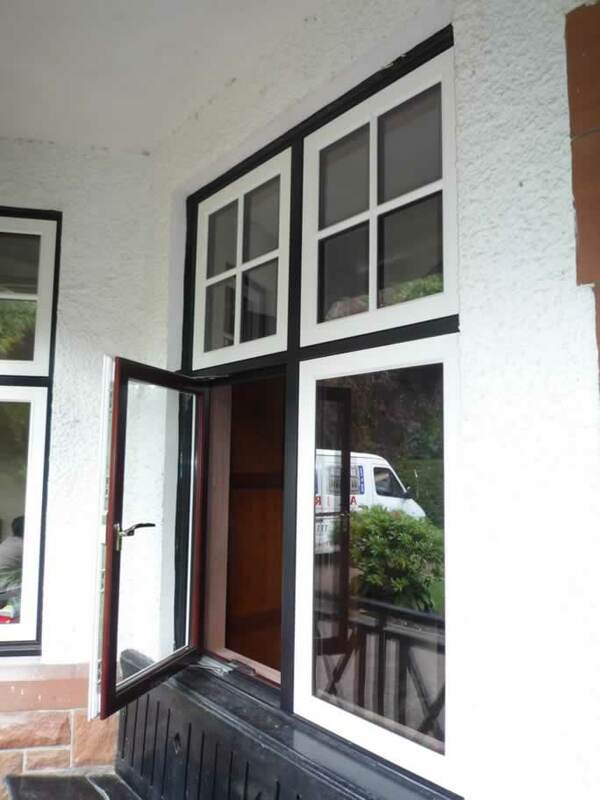 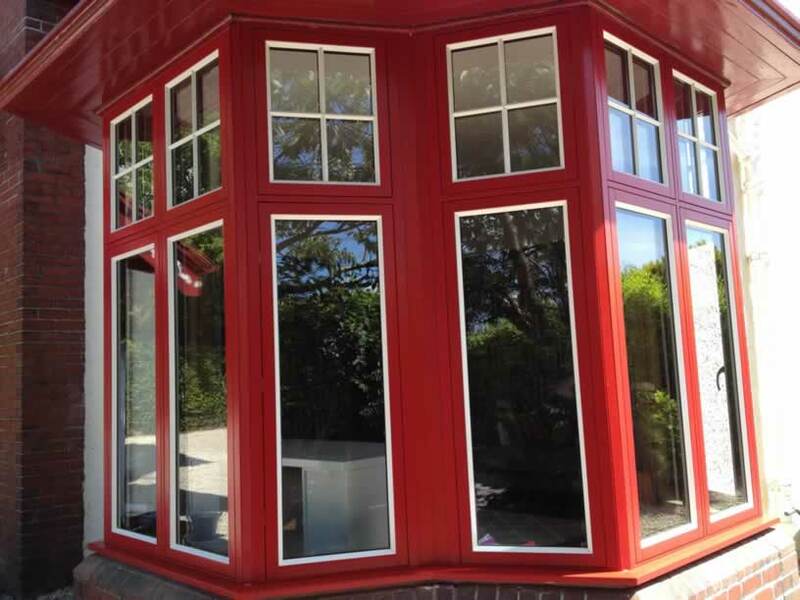 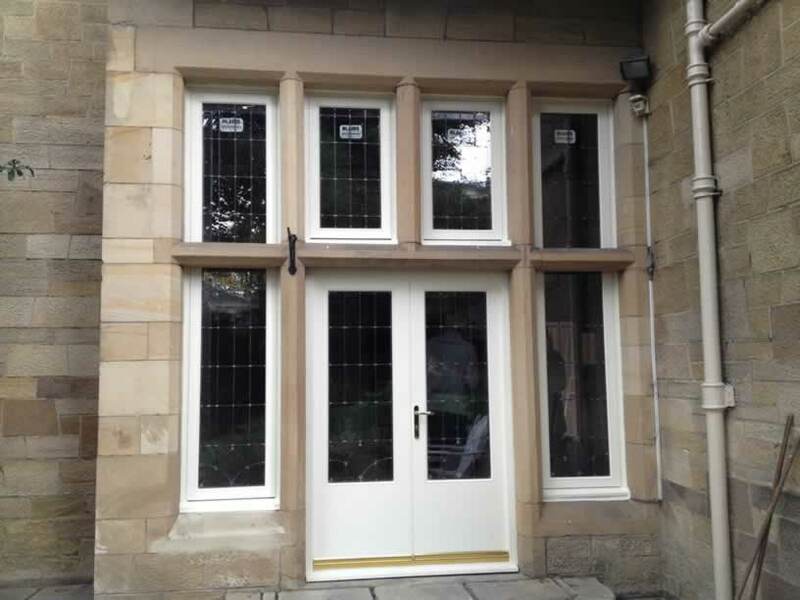 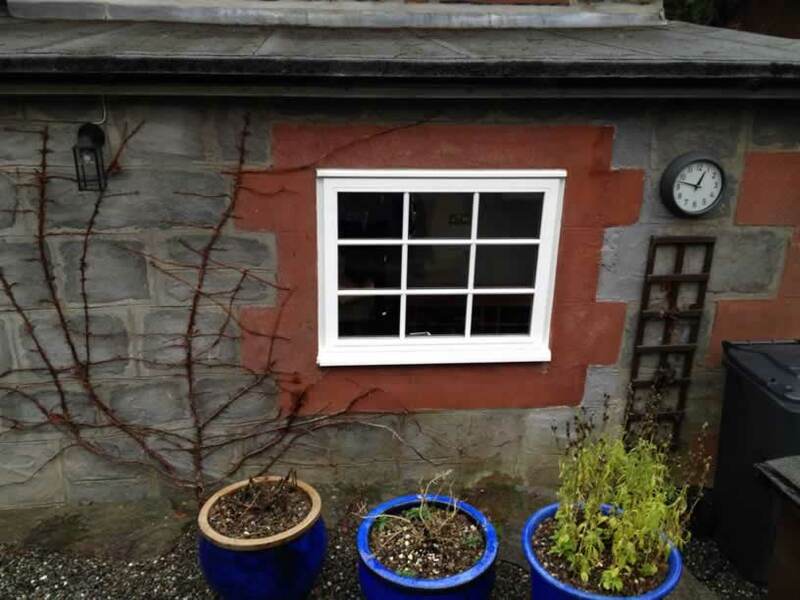 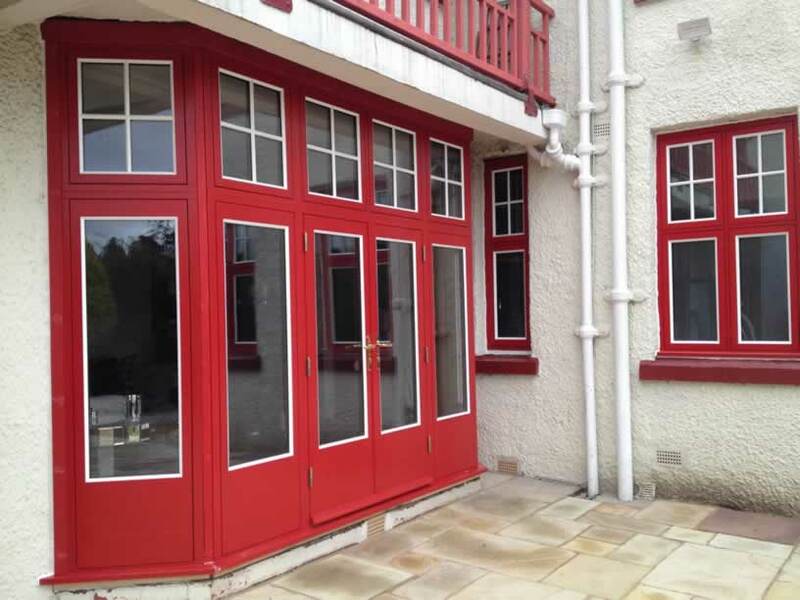 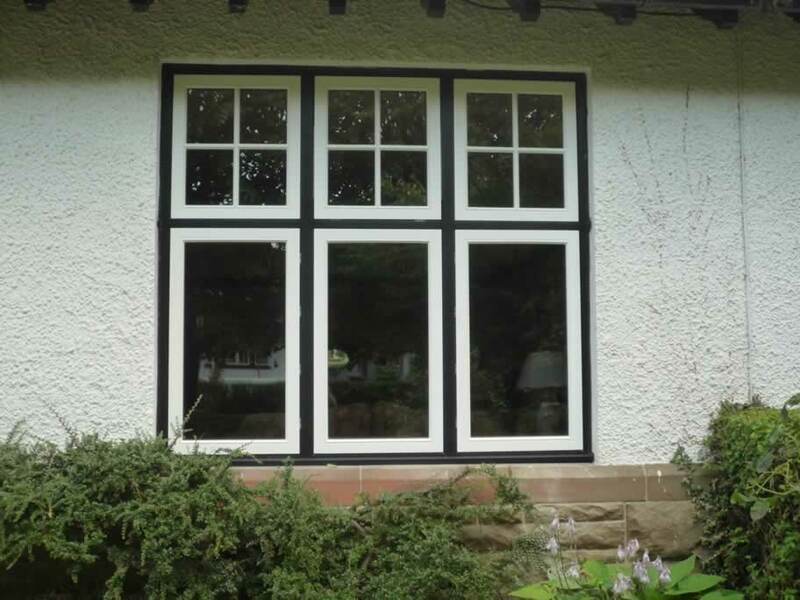 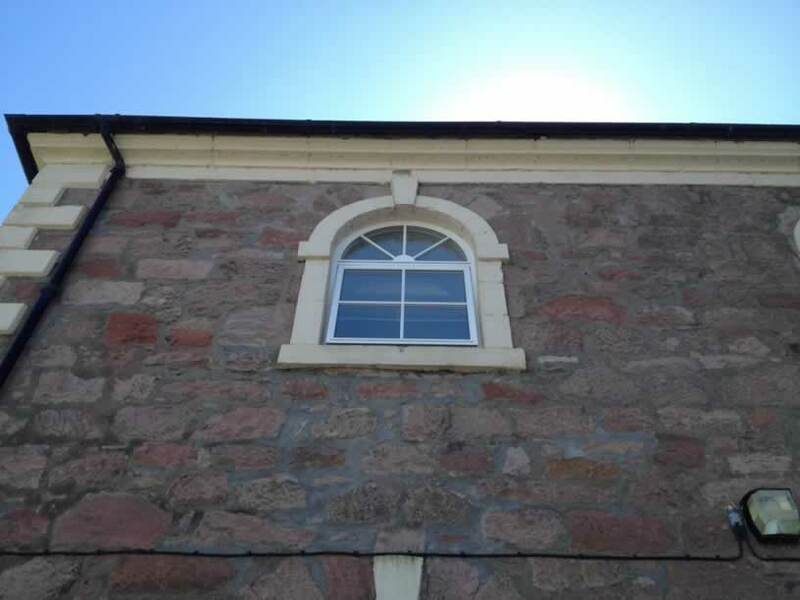 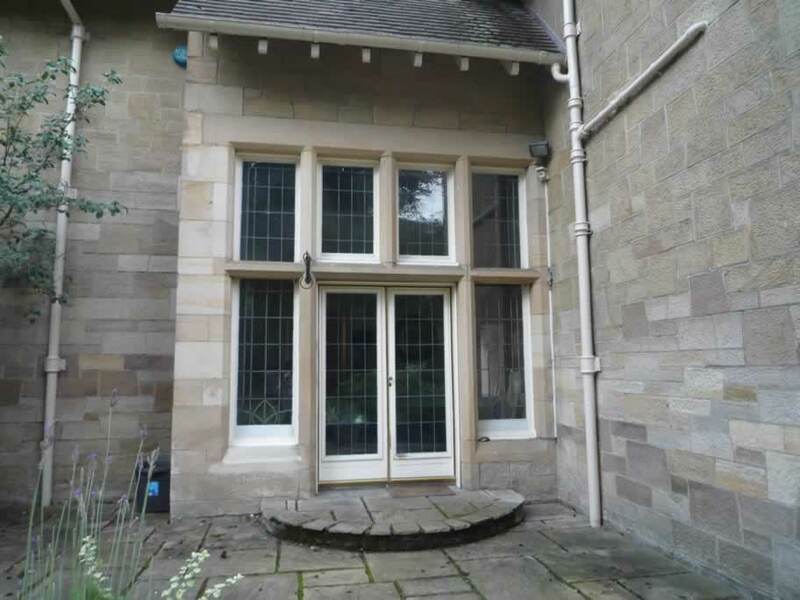 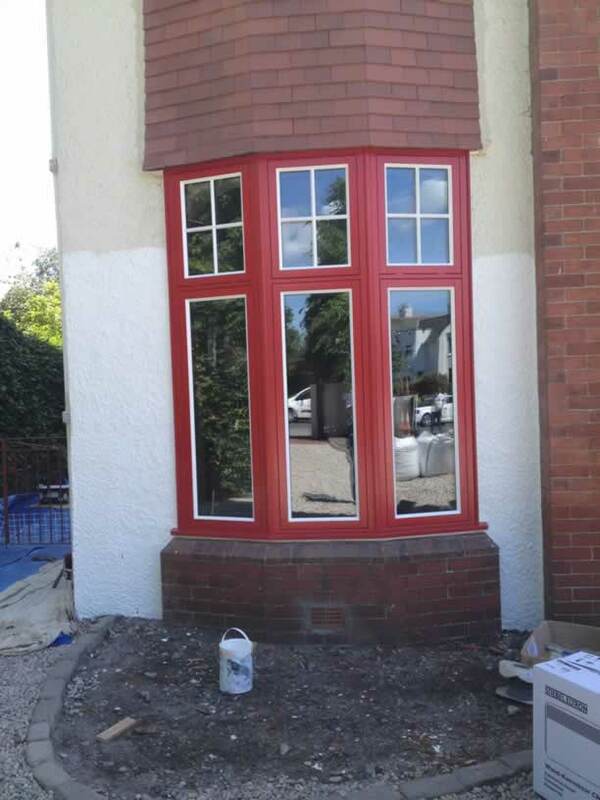 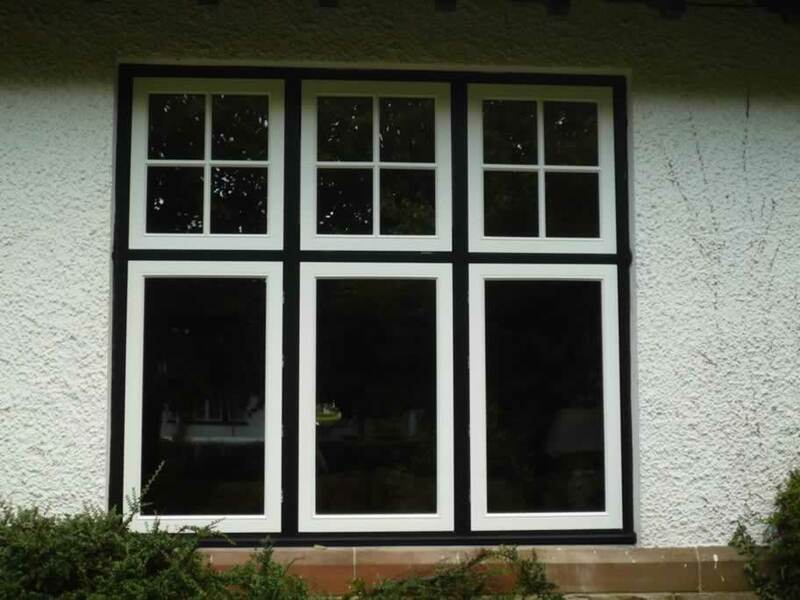 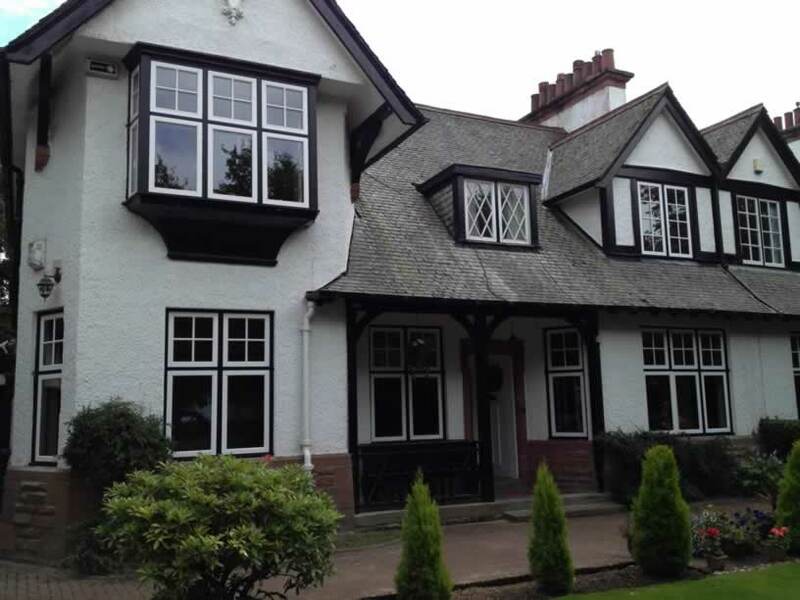 For properties that do not require sash and case windows but still require high performance timber windows we can also offer a vast range of enhanced casement flush window styles to suit almost any requirement. 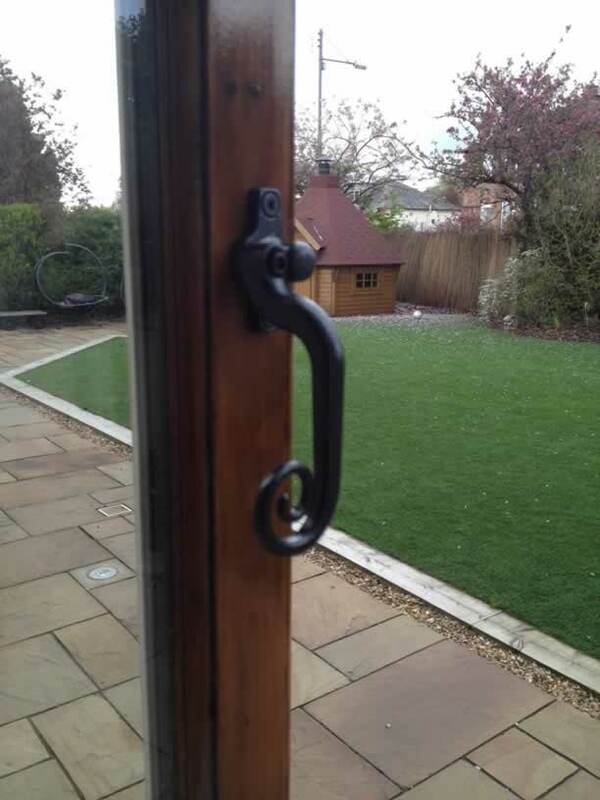 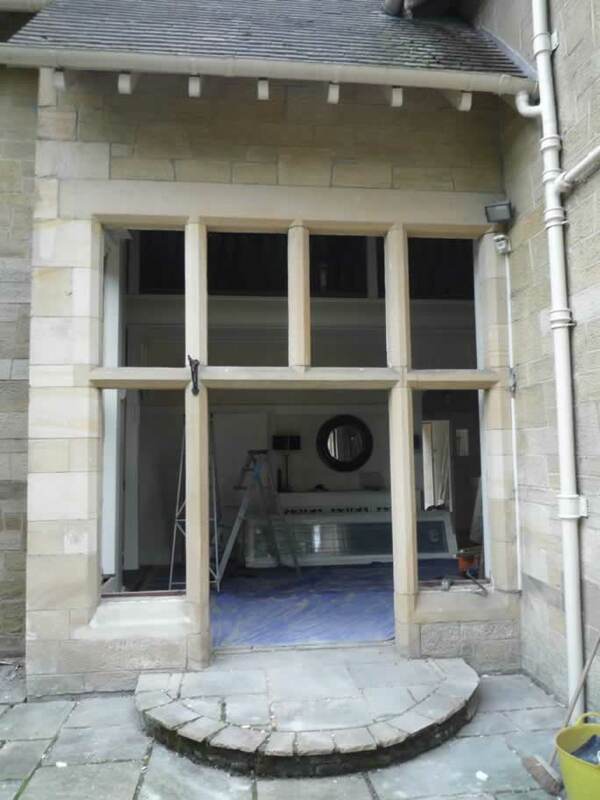 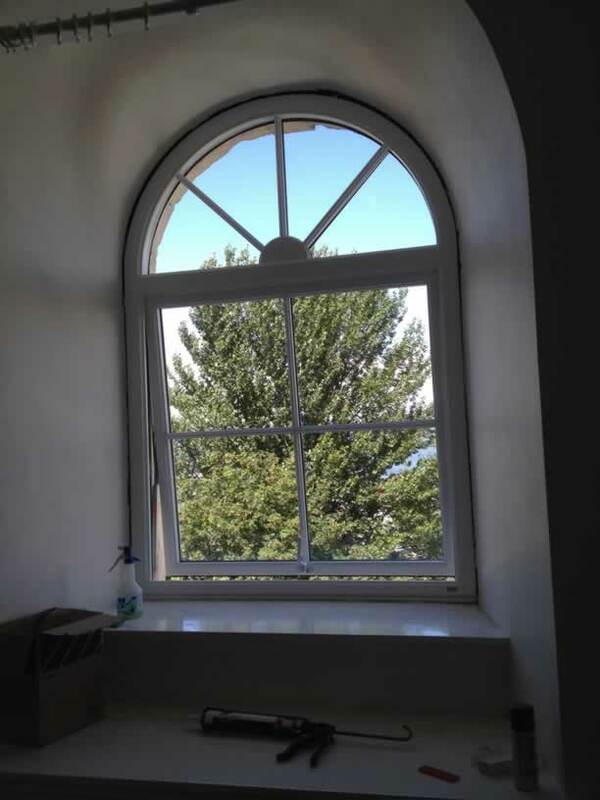 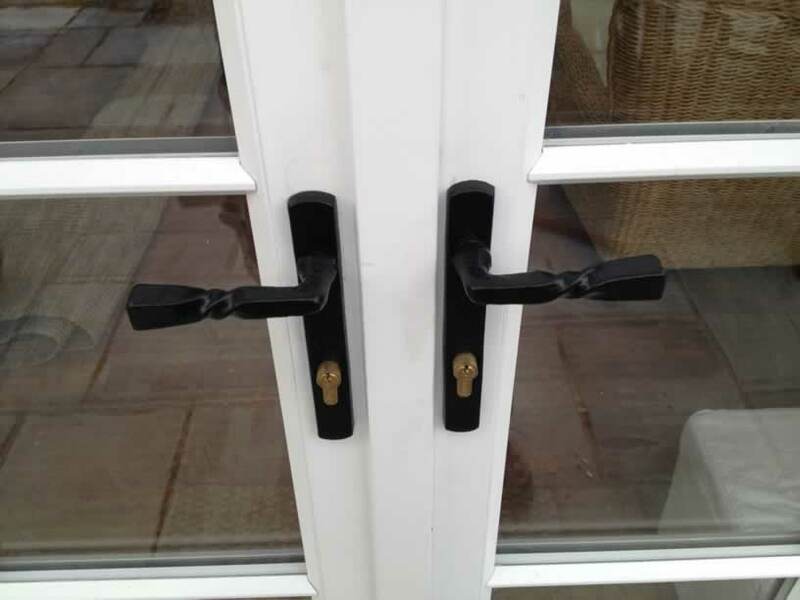 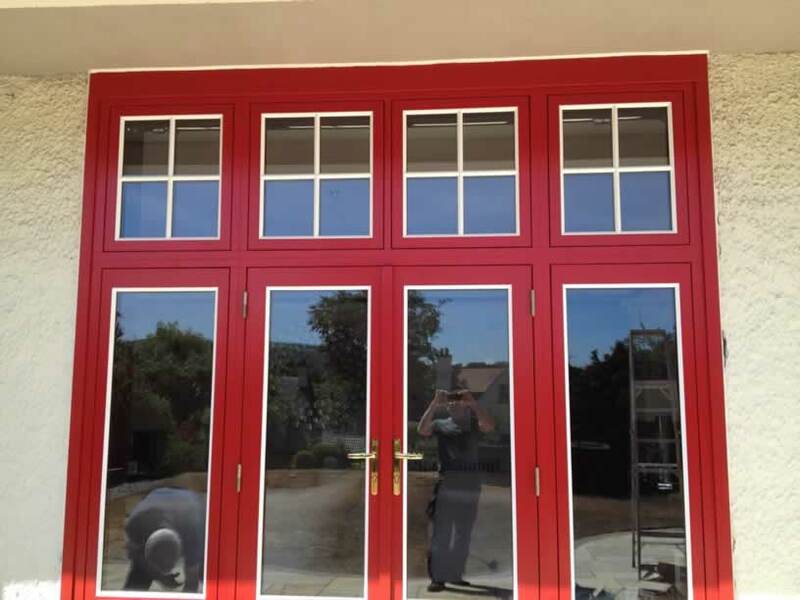 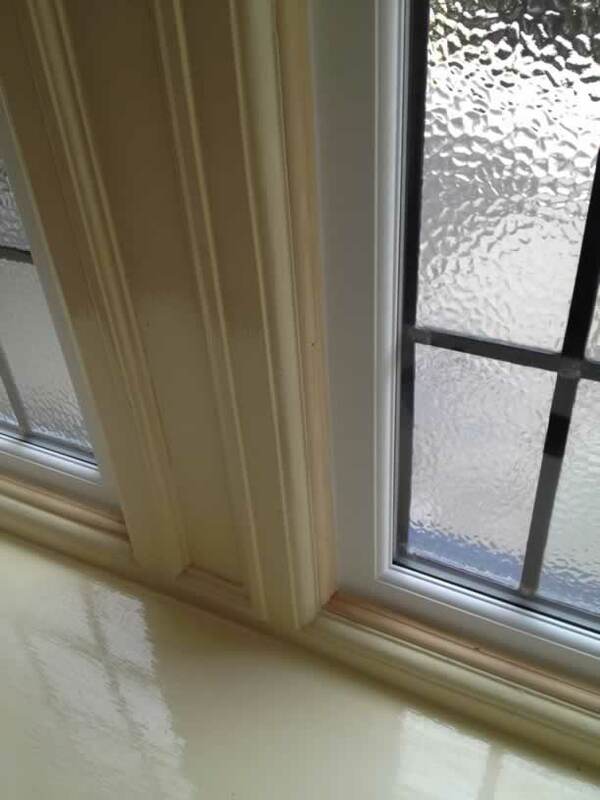 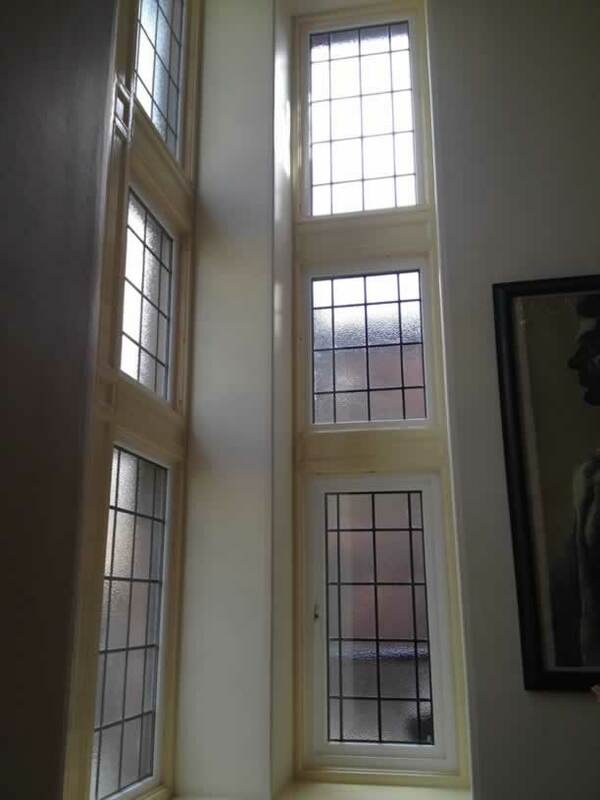 This design is ideal for windows that are 1st floor and above as the opening sash revolves 180 degrees back inwards so that you can clean the outside easily. 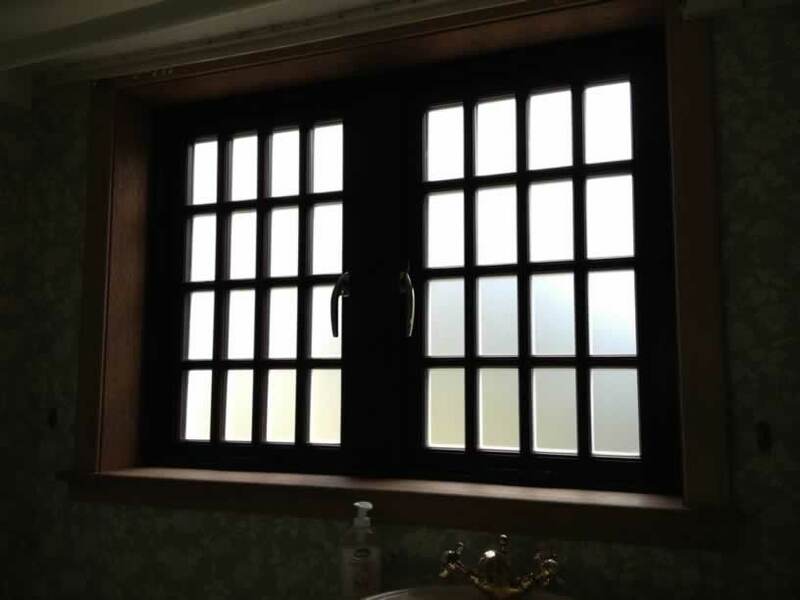 It does not obstruct blinds or curtains. 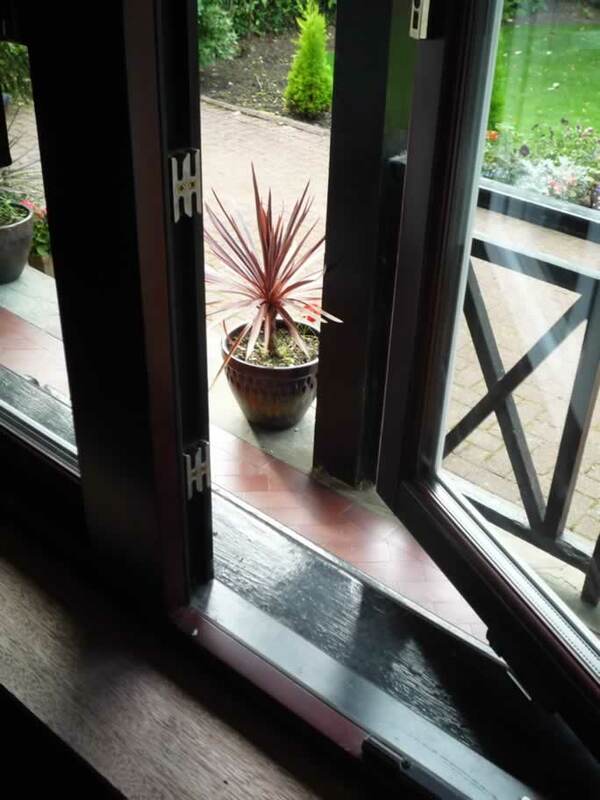 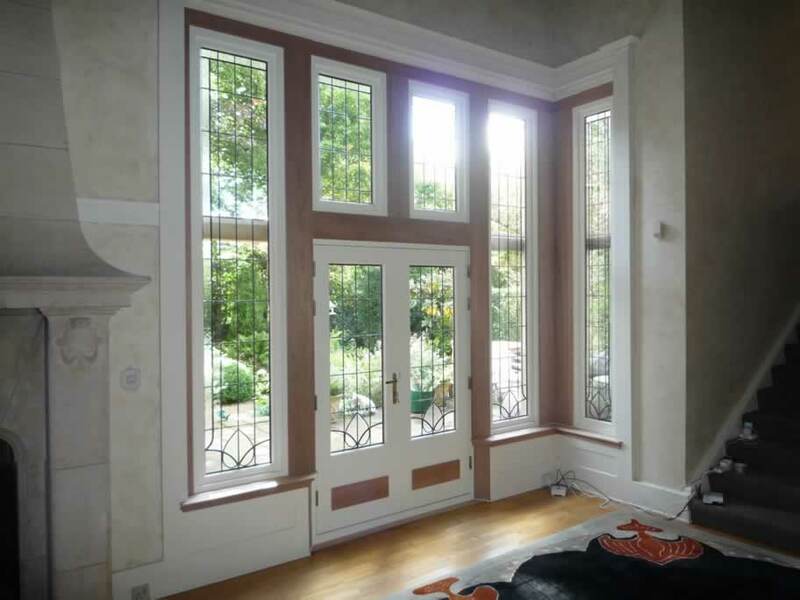 This design of window is hinged to the side and opens like a door. 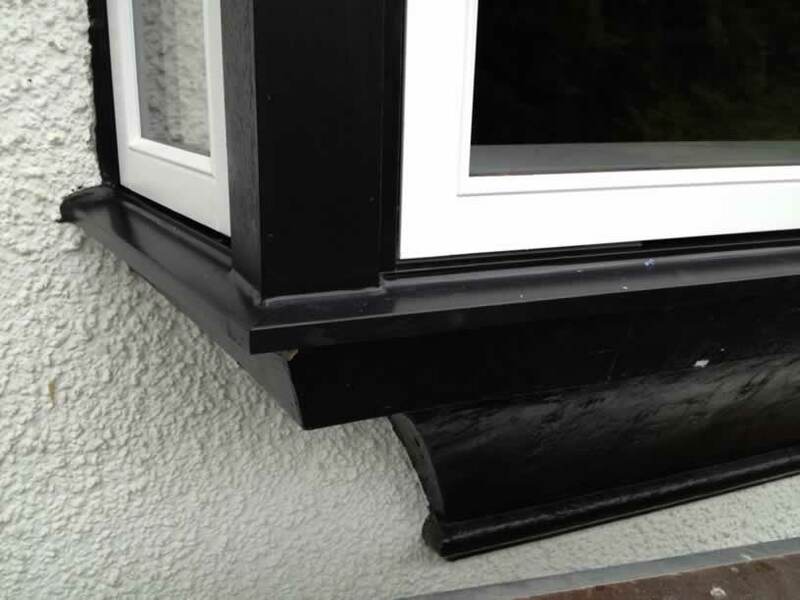 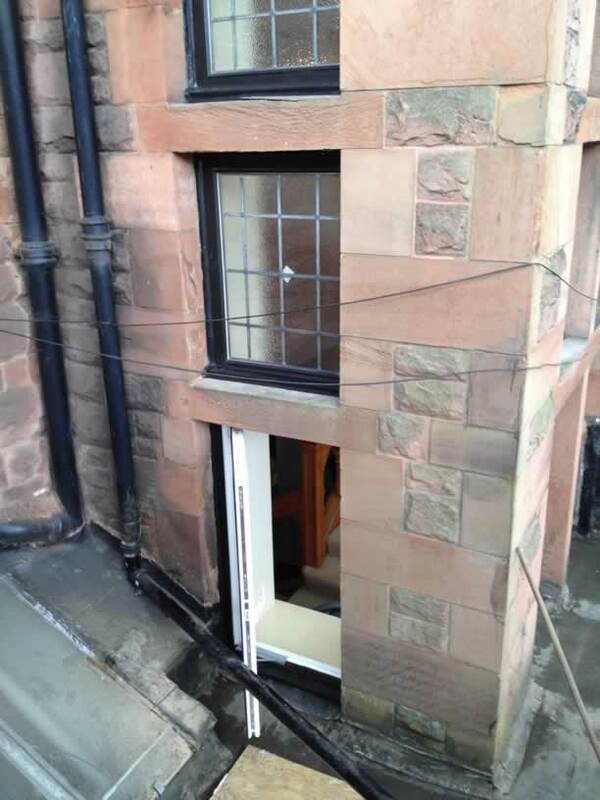 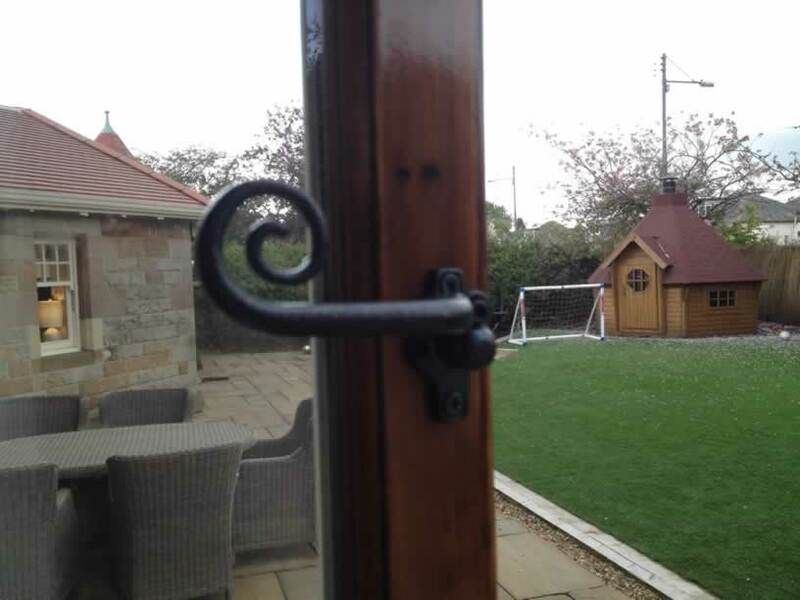 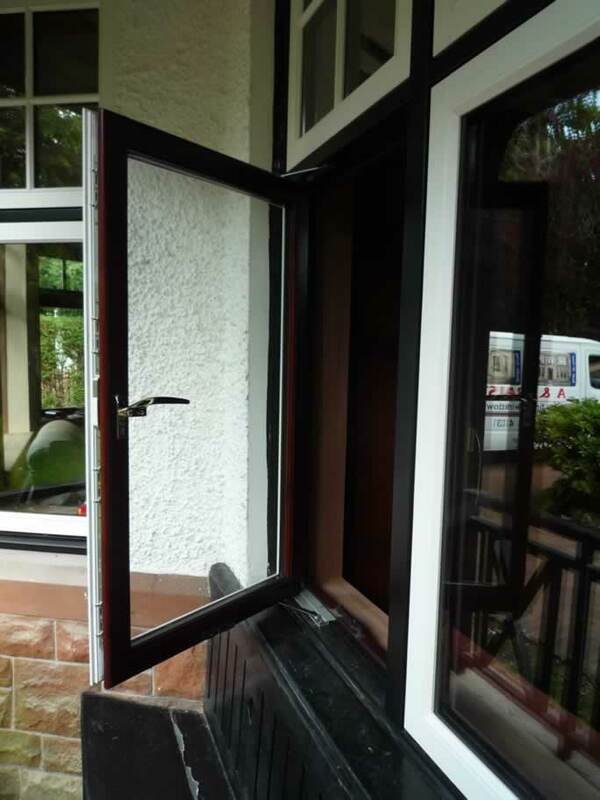 They are fitted with restrictors to make sure that the wind does not catch the sash and pull it open too much. 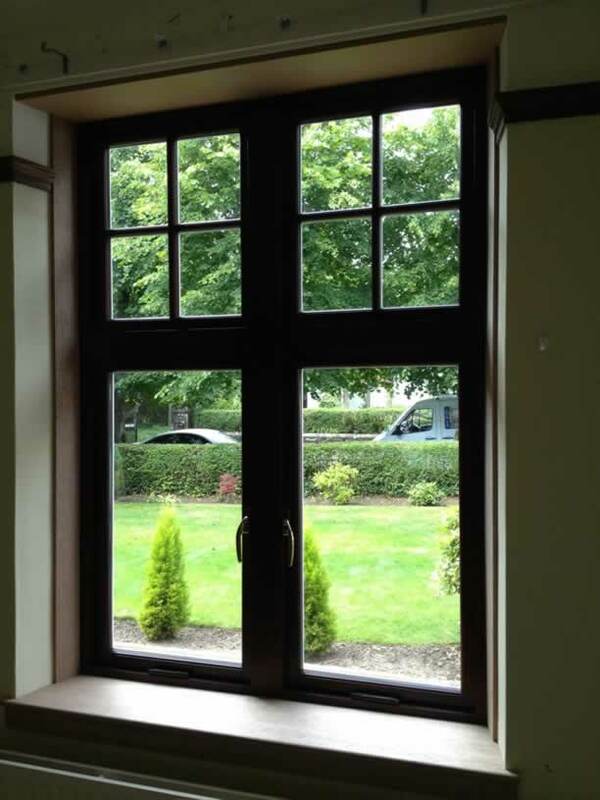 All windows can be made to any formation required ie rows of 3,4,5,6,7 opening/fixed sashes, top opening hoppers etc. 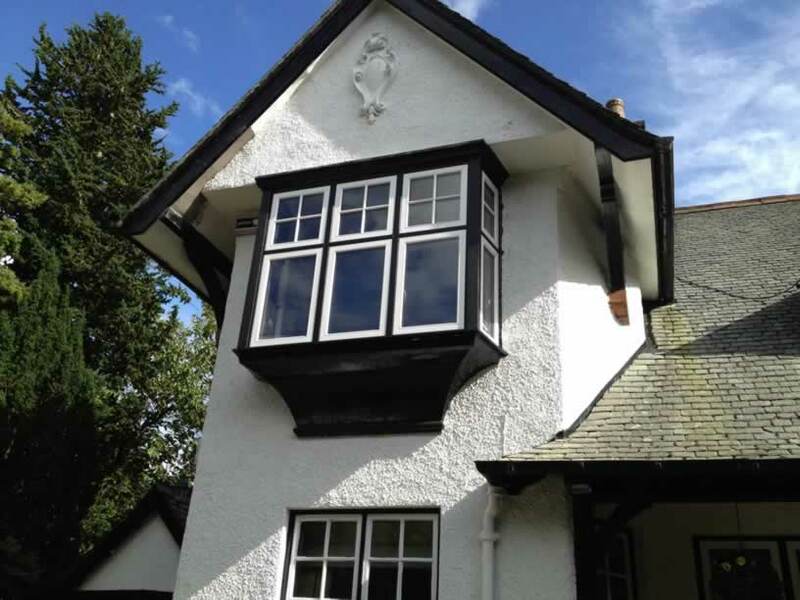 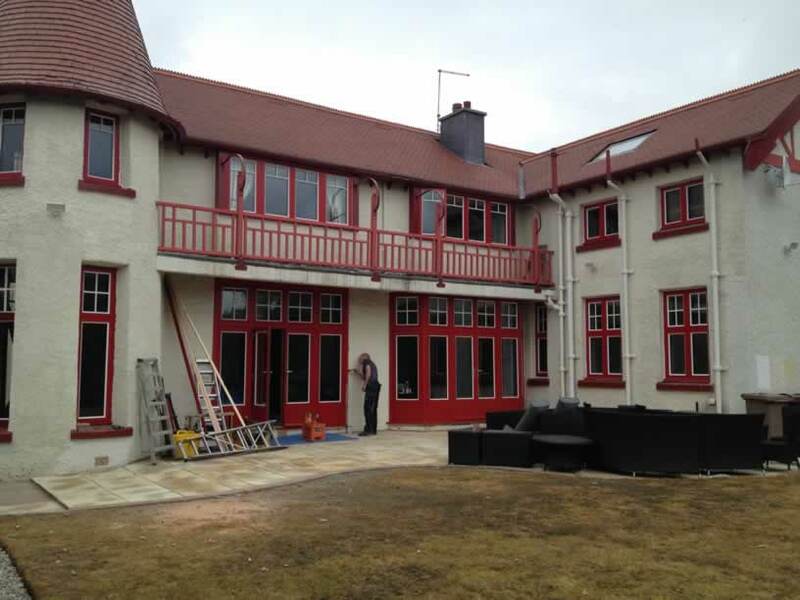 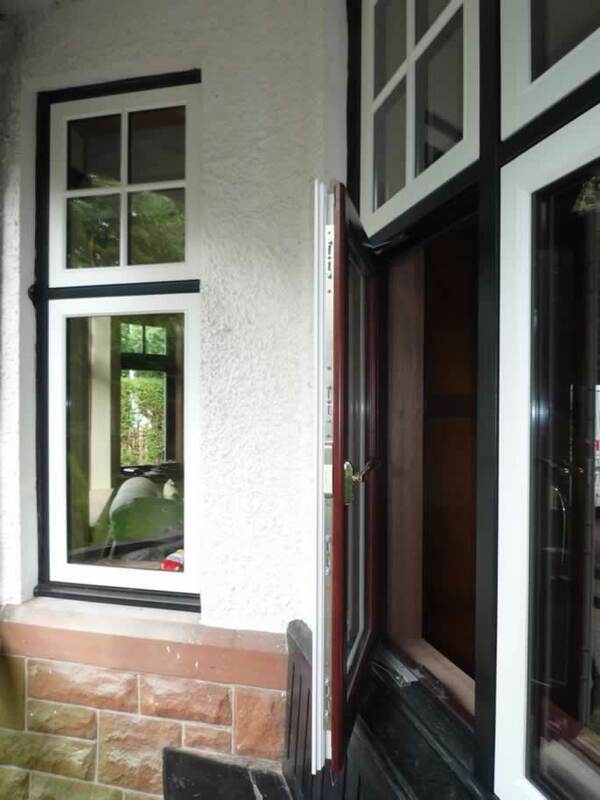 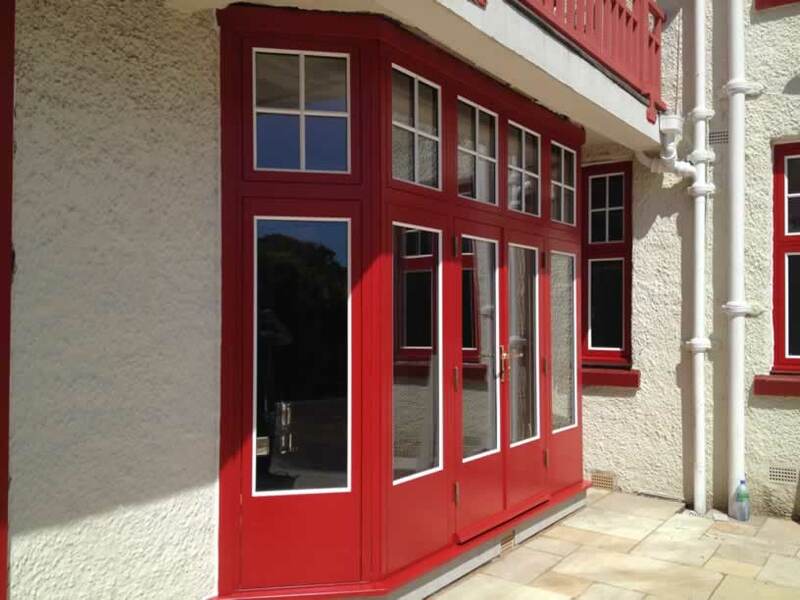 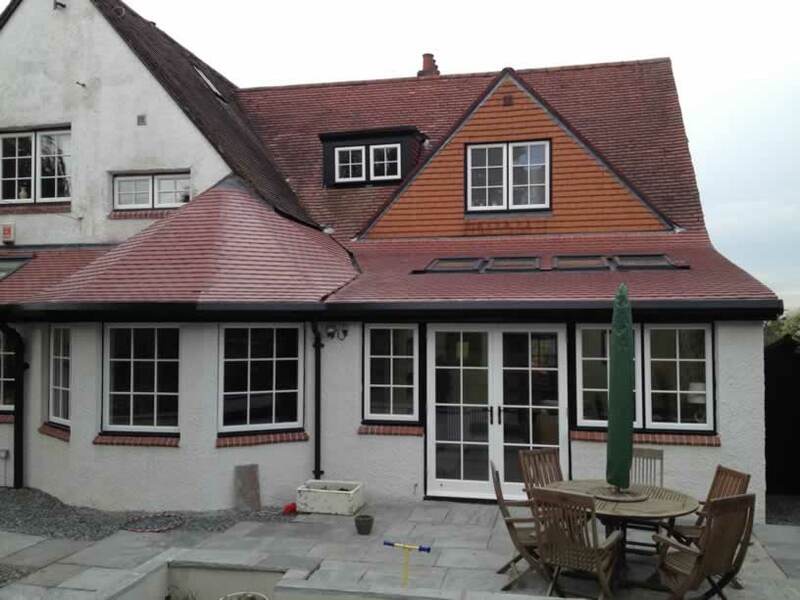 All casement windows can be made to ‘secured by design’ specification. 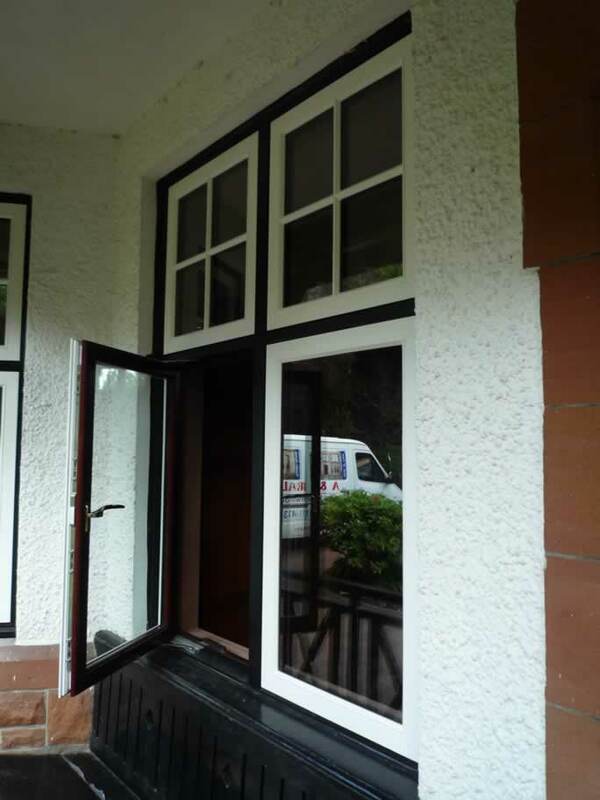 Astragals designs can be incorporated either 27mm pressure bonded or 50mm solid types. 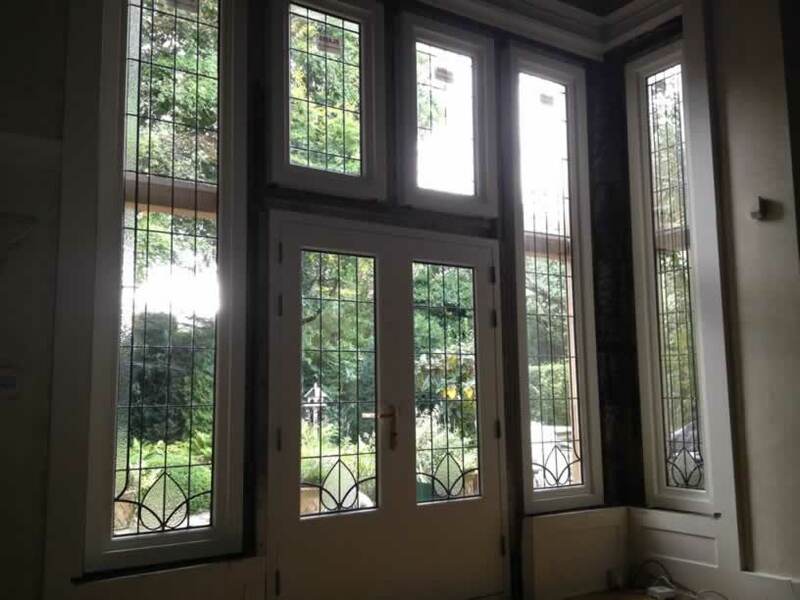 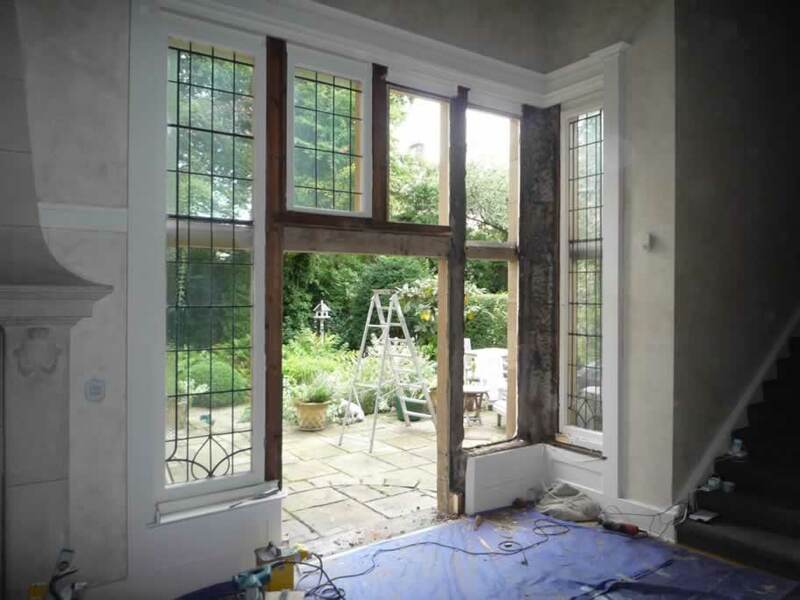 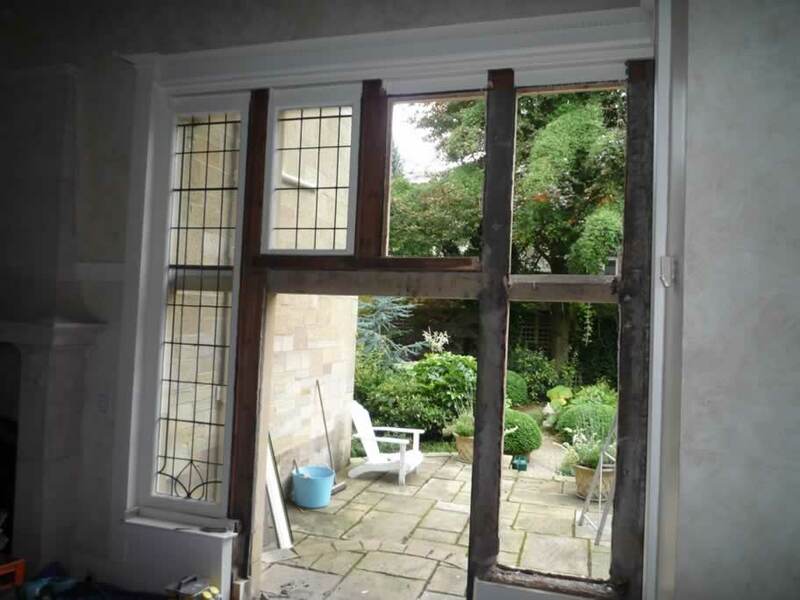 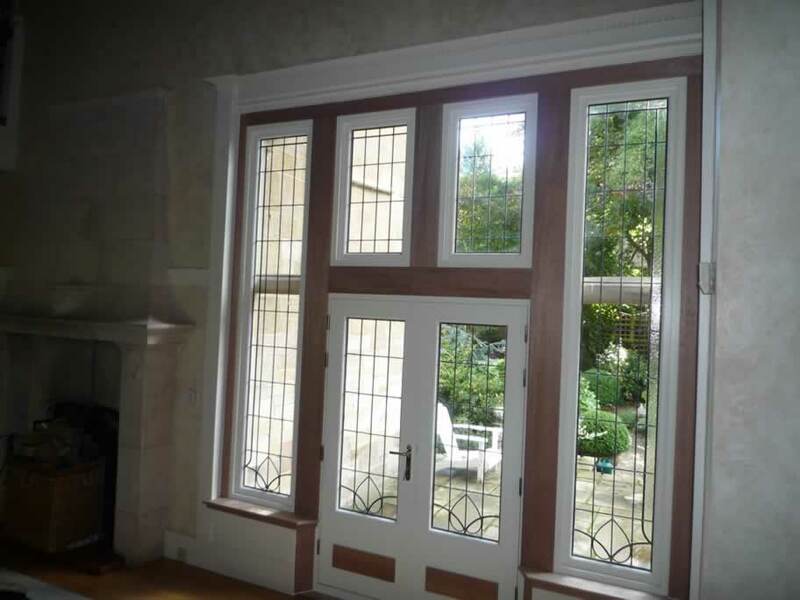 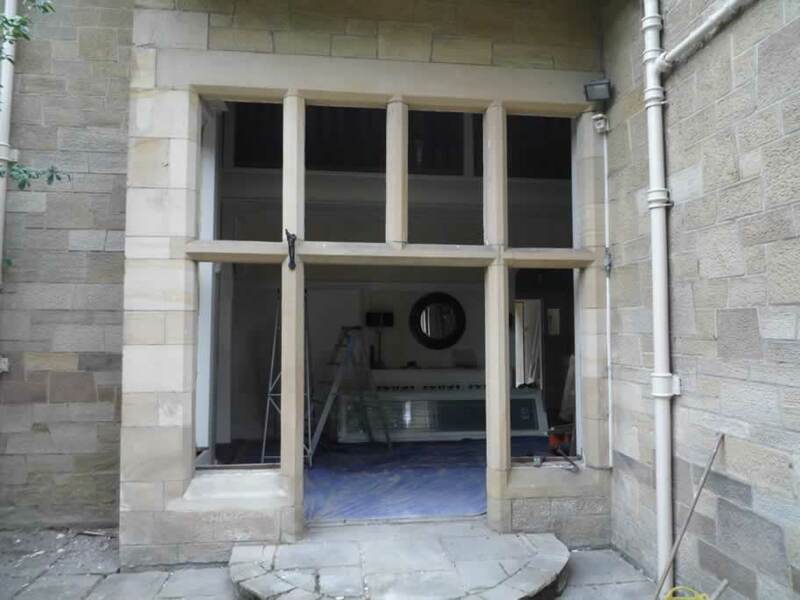 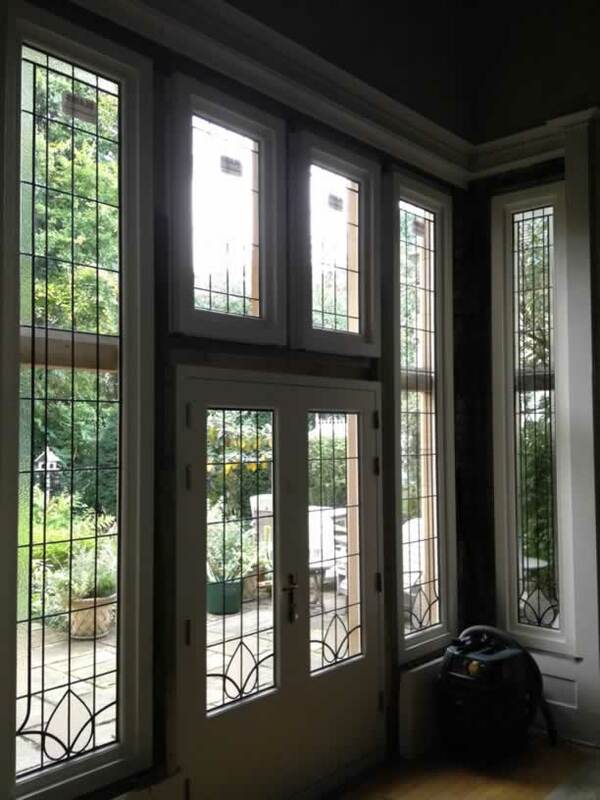 Existing stained glass can be re-used and encaped as a double glazed unit. 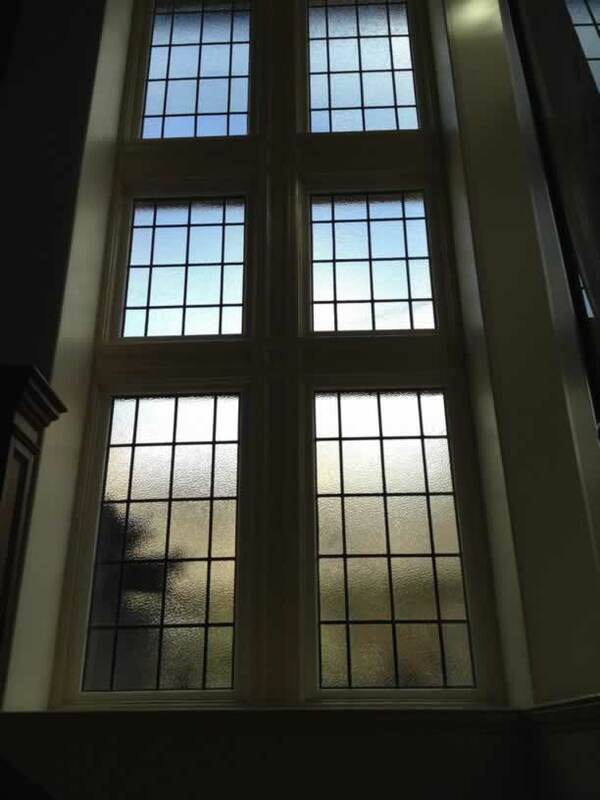 Standard clear, toughened or laminated glass and obscured glass for bathrooms also available. 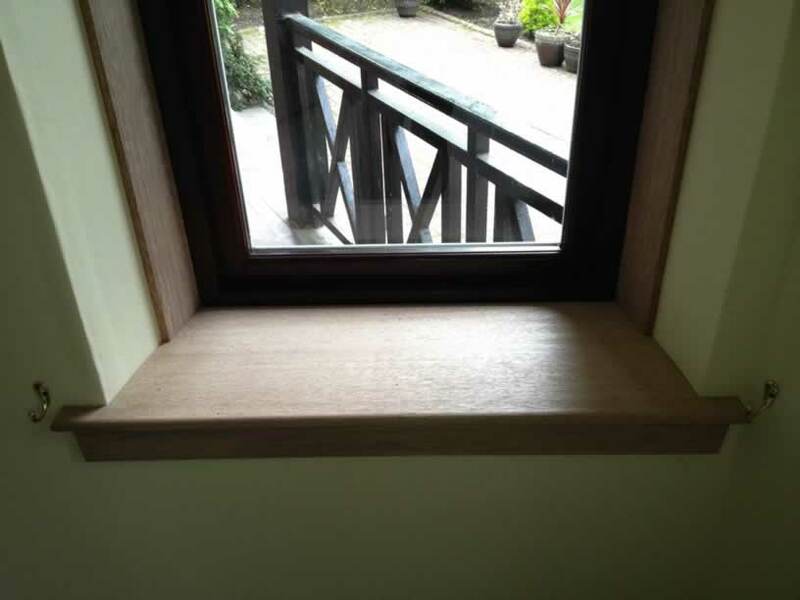 Any RAL solid colour or wood stain can be reproduced. 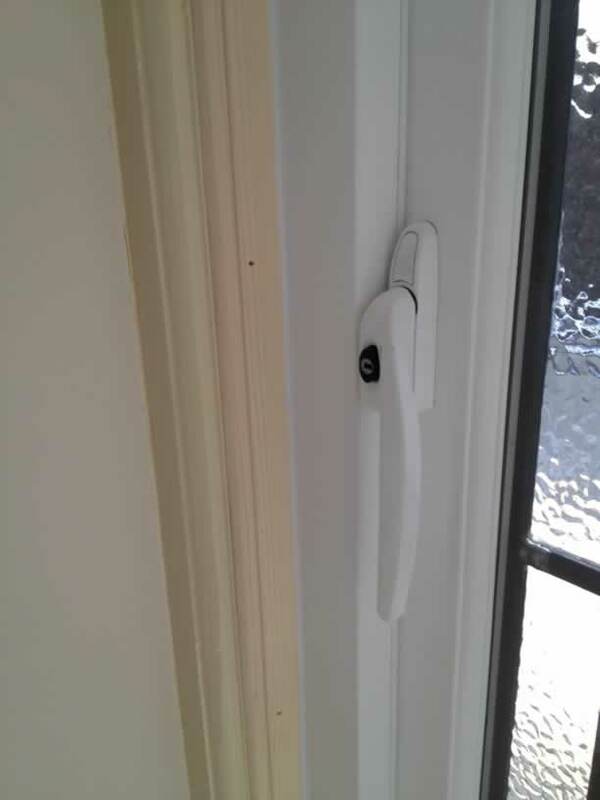 Dual finish also available ie one colour outside another colour inside. 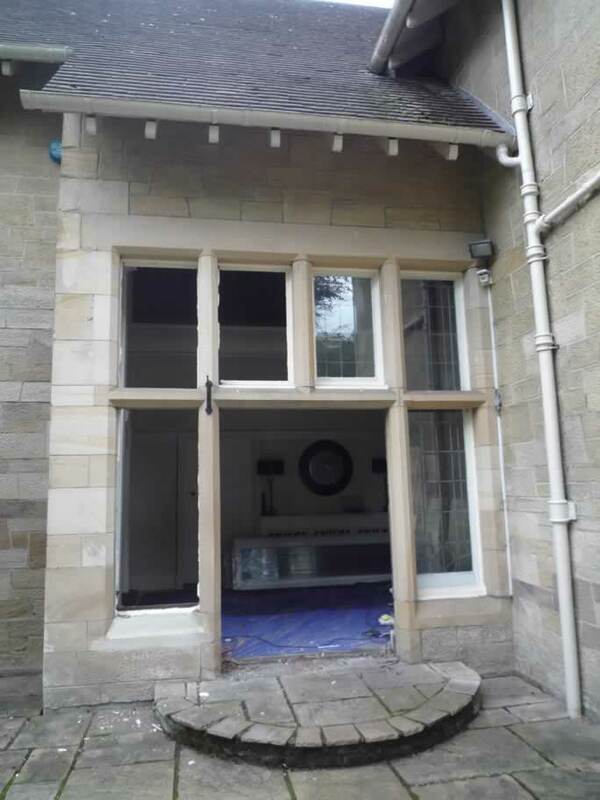 Concealed ventilators fitted into the frame, no unsightly vent canopies on the outside. 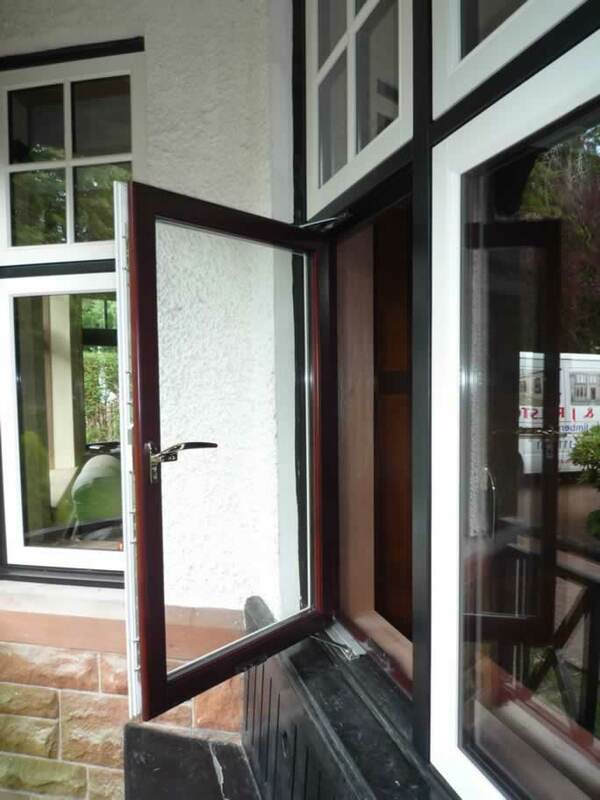 24mm Low E double glazing fitted as standard, other spec glass available on request.